Several laws in defense of the race were readily enacted in Germany (1935) and successively applied further in Italy (1938). The hypothetical existence of a primeval Indo-European language was assumed to be associated with a similar ancestral Aryan race. Its psycho-physical traits and characteristic vision of the world were typical of the warrior race; a sense of honor, penchant for risk, willingness to emerge and respect for hierarchy were highly valued. These were the traits that identified with the races primacy. While the Aryan race split up into various ethnic groups, its constituent characteristics continue to be visible in most European populations today. In the 1930s these somewhat frail bases, besides a number of pseudo-sciences, such as phrenology, physiognomy and other ill-conceived theories on race, contributed to establishing the criteria according to which peoples were considered Aryans or Semites. These doctrines formed the ideological background for the discrimination, segregation and persecution of entire populations and communities, like the Jews and the Roma people. 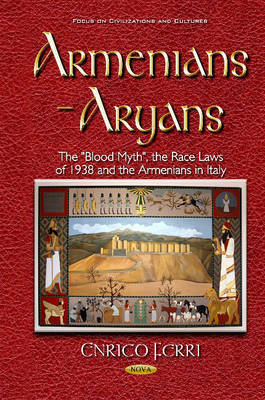 The following study traces the complex framework within which the Armenian community developed in Italy and Europe, highlighting the various arguments that emerged in favor of or against the inclusion of the Armenian people in the Aryan family and the historical milieu in which the debate took place.